I have heard of white sand and black sand - but blue sand! Turns out play sand comes in 30 colors. 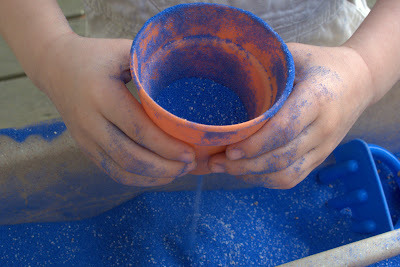 My grandson had a thoroughly good time with the new blue sand. Canon G10, 1/50 sec at f/4.5, ISO 200, 19mm equivalent focal length in macro mode.